I was inspired to share with you what is happening in our community of Coconut Grove located in Miami, Florida. We are in the process of creating a successful public art event that has united the talents, love and businesses of Coconut Grove. 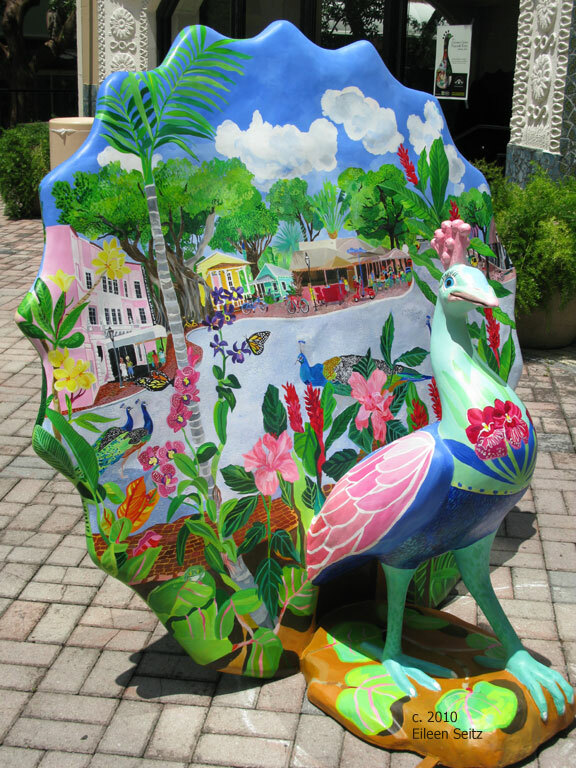 Many of our local businesses have sponsored several artists to paint sculptured fiberglass peacocks. 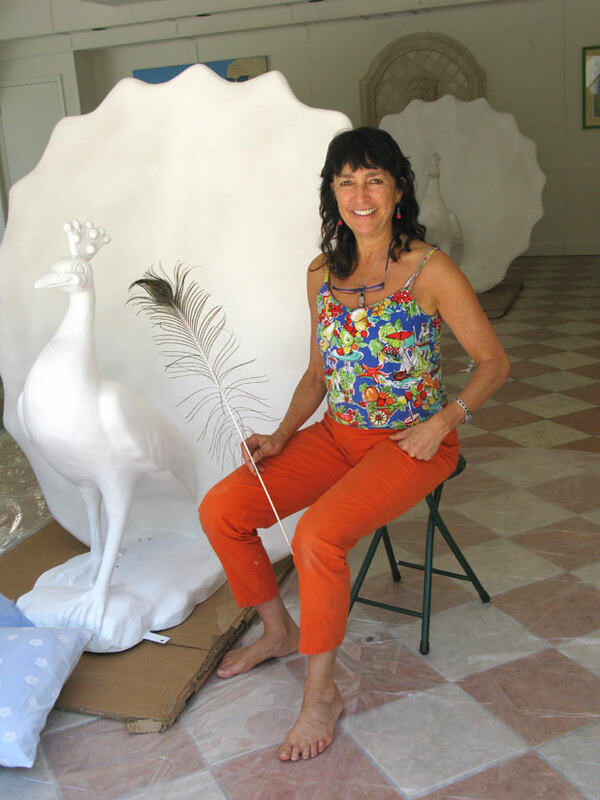 Recently Prince Media Development’s President Heather Bettner embarked on uniting the businesses and artist community through the Coconut Grove Peacock Tour. 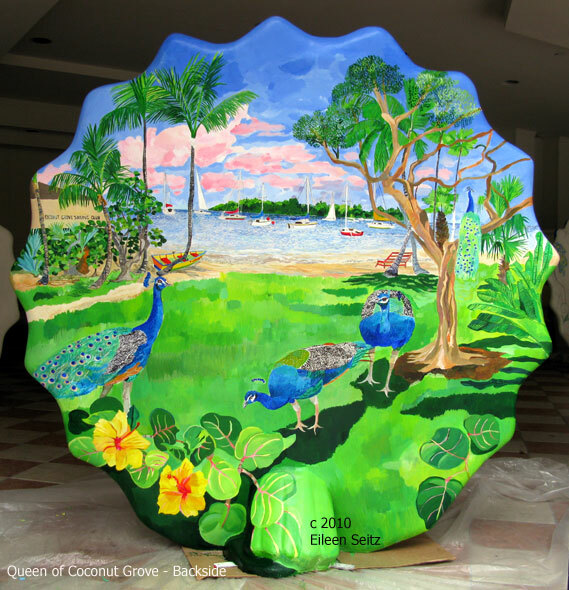 Local businesses here in Coconut Grove and Miami have sponsored several artists to paint in their style a 5.5ft x 5ft fiberglass sculpture of a Peacock. 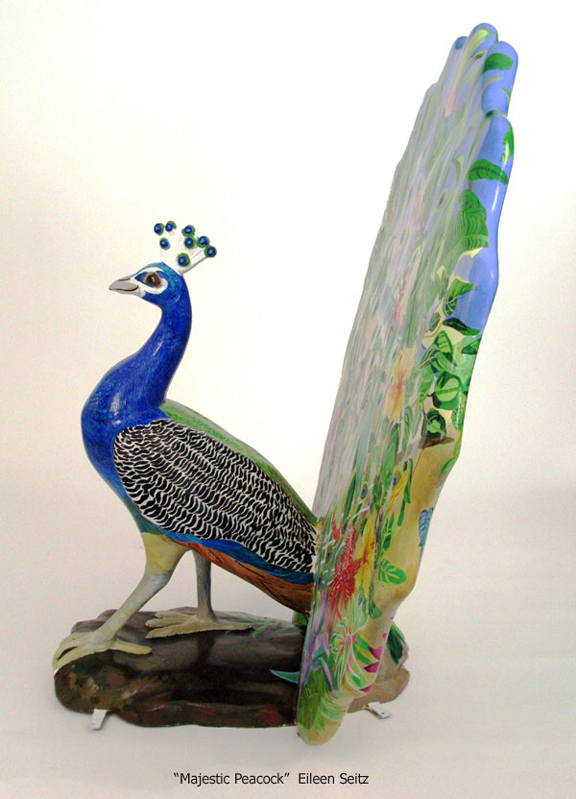 For many years wild peacocks have made their homes here and are visible everyday. They run around our neighborhoods freely squawking and showing their majestic feathers to those who have the privilege to be there. What better creature of magnificence than that of the peacock to share with the public. 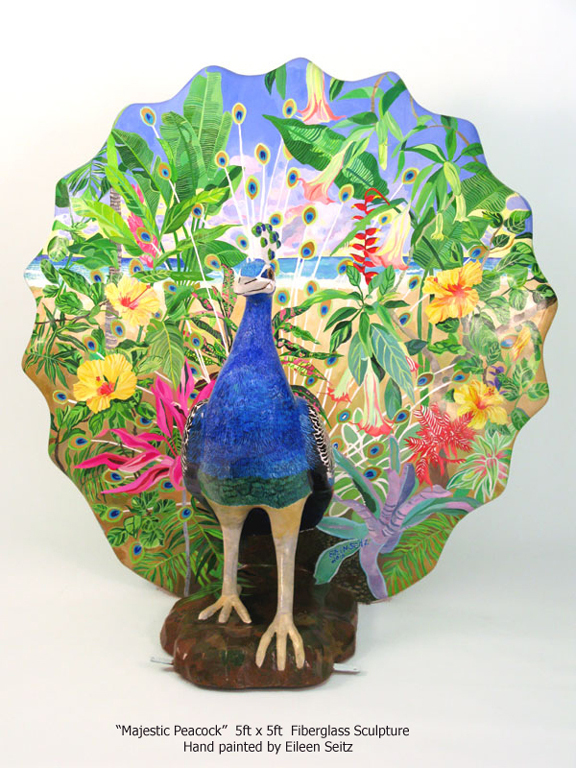 Once the peacocks are finished they will be on display outside the fronts of the sponsors businesses and on public right of ways for six month. After that they will be put up for auction in the fall where 100% of the proceeds will be given to the sponsors chosen charitable organizations. “Milam’s Marketplace” an upscale grocery providing our village with the freshest produce (organic as well) and many other foods is my sponsor. The first photo is to show you the size of my Peacock as I take a seat next to it. 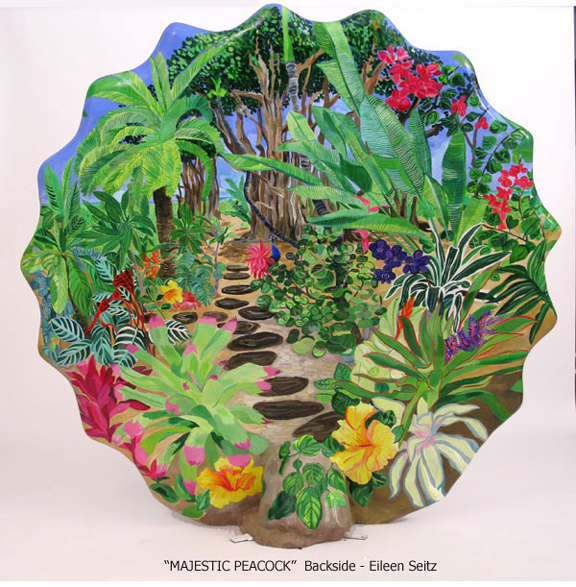 The following 2 show you my finished vision of beauty, love and magic that living here in Coconut Grove and our Peacocks have inspired me to paint.